Carriers working with legacy equipment and infrastructure often need new or refurbished equipment that can work with their oldest systems and will also support upgrades to newer units. The ARRIS commercial services gateway (CSG) series is the perfect middle ground to help you in your investment. By launching a Global Access CSG and Digital Return Platform supporting Ethernet plays of voice, video and data, ARRIS allowed carriers to expand with their existing HFC infrastructure. While initial units are a decade old, they are still performing well and allowing carriers to expand services based on point-to-point Ethernet transport for even the latest HFC nodes. Our used ARRIS CSG models can boost your network without interruption, service disruption or breaking the bank. Existing HFC services, such as your video, voice and data on an HFC plant, will be unaffected by node upgrades, allowing you to build up your network without service loss or interruptions. Small operators often turn to refurbished ARRIS CSG units to enter new markets or expand offerings slowly and affordably in areas where they need a simple boost. Each of the units we offer can support a variety of scalable solutions, including ISDN, T1/E1 and T3/E3 over any IP infrastructure. It’s time to work with the equipment you need and to save significantly by focusing on robust, reliable solutions that are still serviceable and deliver the essential functions for you. Don’t shy away from used ARRIS CSG units, because they are able to expand affordably through Worldwide Supply’s distribution. Worldwide Supply carries large selections of surplus, refurbished and used ARRIS networking equipment that comes standard with our industry-leading warranty and is sold at affordable prices. 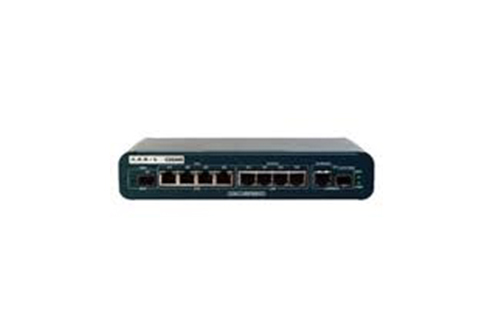 CSG440 Commercial Service Gateway UK External P.S. CSG440 Commercial Service Gateway 48VDC External P.S. 19" brackets for CSG440 can hold one or two units"